A few years back my middle DD was asked to a ball. Our children have been educated at home so there are not the usual school balls/formals to attend. Miss S was asked to attend a Fire Officers Ball. A ballgown was needed and a shopping expedition :) Patterns to be looked at, material to be chosen. Below is the result. A view of the back as well. The gown is fully lined. 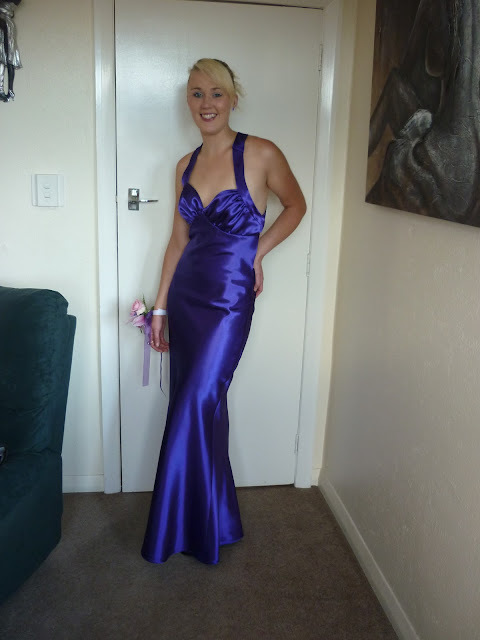 It was great to make this dress for Miss S as I could make it to fit her figure. Miss S had tried on quite a few gowns from shops and none of them fit her properly in every area.